Don’t let its silly name and ugly cover fool you. This is a book everyone, and I really mean everyone, should read and apply. It sounds like some kind of stretching program, but it’s so much more than that. It teaches you common movement errors that cause injury and rob you of speed, power, endurance, and strength, and gives you hundreds of techniques you can use to correct them, and thus optimize your athletic performance. How to prevent and rehabilitate common athletic injuries. How to quickly identify, diagnose, and fix inefficient movement patterns. How to fix poor mechanics that rob power, bleed force, and dump torque. How to use athletics to reverse the aging process. How to run faster, jump higher, and throw farther. How to accelerate recovery after training sessions and competition. 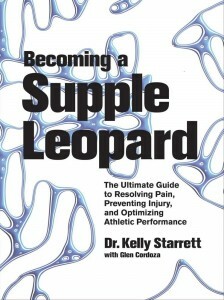 Like Starting Strength, Strength Training Anatomy, and (cough) Bigger Leaner Stronger, Becoming a Supple Leopard should be on the shelf of anyone serious about improving their physique and athletic performance.